Editorial commission for the Big Issue. 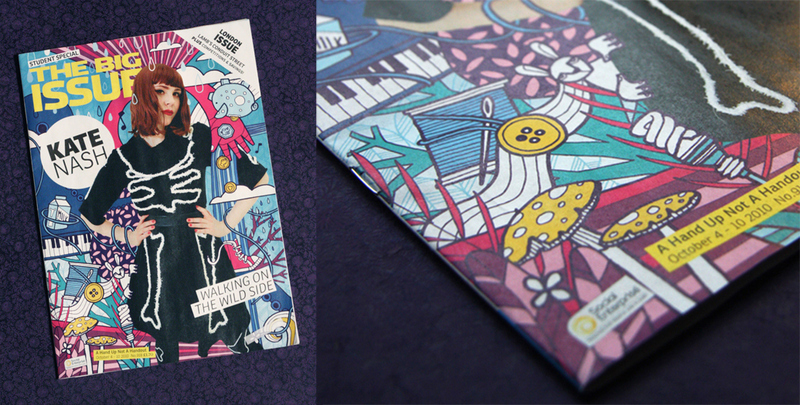 Cover & feature illustrations about the singer Kate Nash. The brief - to illustrate around a photograph of the songstress in a kind of crazy dreamesque jungle. As this was issue was the student special the cover also had to include nods to the other articles all geared towards student life. 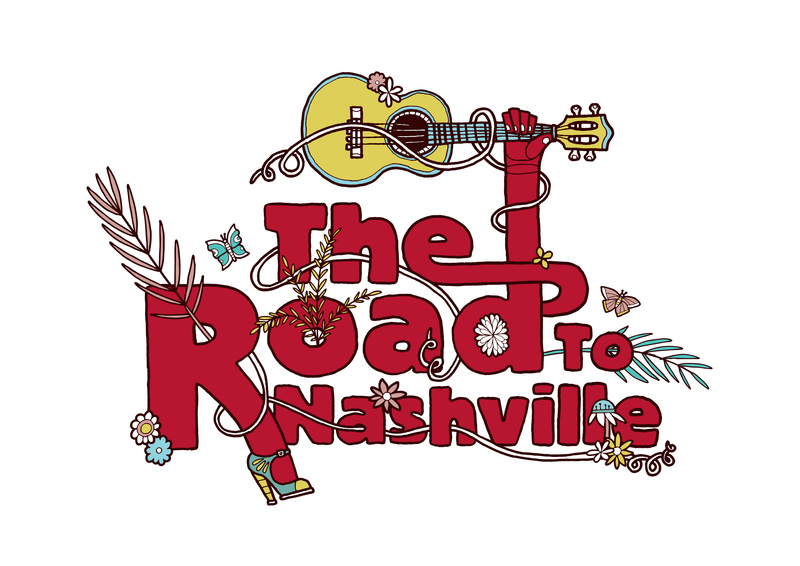 The feature article inside, also on Kate Nash titled "The Road to Nashville" featured illustrated typography that had to compliment the article & other photographs of Nash.